(CNS): Officials from HMP Northward said that an enquiry has been conducted at the prison regarding allegations made by an inmate in Summary Court last week. 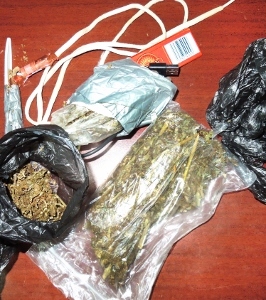 Leighton Rankine had pointed the finger at prison officers as the source of the ganja he was charged with possessing and for which he received an additional 30 days on top of his existing 13 year sentence. When quizzed by the magistrate about the drug, which was found on his possession during a hospital visit, Rankine said that the drugs were smuggled in by guards. Following media report about what was said in court the prison said it had questioned the inmate regarding his allegations but Rankine had not been able to support them. Rankine is currently serving time in connection with a shooting in a car park close to a West Bay night club in February 2012. Following a trial in June he was convicted of assault, wounding with intent, unlawful use of a firearm and the possession of an unlicensed firearm.